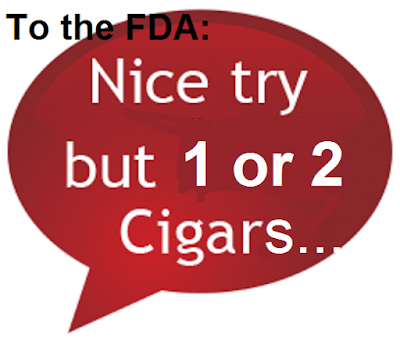 However, an FDA staff report shows that smoking up to two cigars a day is associated with minimal significant health risks. The authors reviewed 22 prospective epidemiologic studies on cigars and health outcomes; they produced tables of results for many smoking-related diseases. This entry will explore results for deaths from all causes and from cancers among men who are primary cigar smokers (no history of cigarette or pipe smoking). Because the 22 studies employed different methods, and because they controlled or adjusted for various factors, the FDA authors did not provide overall summary risk estimates. Table 1 shows that cigar smokers have an elevated risk for death from all causes. With the exception of the Ben-Schlomo study, all of the estimates are elevated, and four are statistically significant. So it appears that there is a modest increase in risk among cigar smokers for all causes of death. Next, let’s look at the risks for individual cancers. It appears that, like cigarette smokers, cigar smokers have elevated cancer risks especially at places in contact with smoke, such as the mouth/throat, esophagus, larynx and lung. For other sites, like the stomach, pancreas and bladder, elevated risks are minimal and/or based on very limited data. 1Kahn 1966, 5 cigars per day or fewer. 2Chao 2002, 5 cigars per day or fewer. While some risk estimates are elevated, none are statistically significant. The highest risks are for larynx cancer, but they are based on only two deaths in Shanks and one death in Shapiro. However, the data indicates that consumption of up to two cigars per day, while not completely safe, is neither associated with significantly increased risks for death from all causes, nor smoking-related cancers. In a subsequent post, I will present results for other diseases, including lung and cardiovascular disorders. Thanks so much for this post. 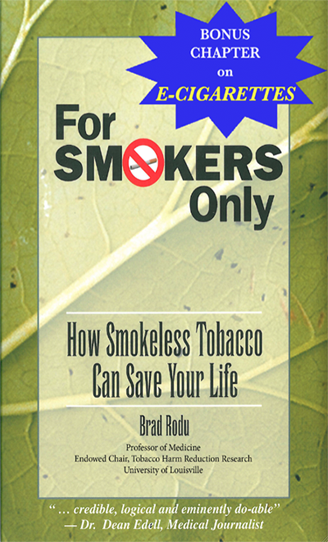 I am an occasional cigar smoker and a health researcher, although I have never published about tobacco control issues. I have seen the original papers that are cited in this review and understood the essence of the findings. Your blog post is very clear and straightforward and the referral to the manuscript is a great service. I have posted this link to a major online cigar board that is ready by many cigar lovers throughout the world. The published research article shows a form of scientific cowardice that is troubling. The associations between moderate cigar smoking (which characterizes most cigar smokers) and health outcomes is nearly zero. Yet the authors fail to mention this very important finding. They hide behind the true but misleading statements that there is a main effect for cigar smoking on health, and a dose response relationship. Surely they couldn't have failed to note these findings, which have major health policy implications. The timing on this is particularly key as FDA regulation of cigars is ramping up. For many cigar smoking is a relatively harmless activity, but it is being attacked like a major health risk. What's next, alcohol or sugar? About 25 years ago I stopped smoking cigarettes and switched to moderate cigar and pipe smoking without inhaling. The health benefits were immense (much improved aerobic condition, no more month long bronchitis 3 times a year, etc). I appreciate very much reading your summary of epidemiological literature on cigar smoking, as well as your mention of the unfortunate and deliberate attempt of busybody regulators to spread fear mongering lies that contradict the epidemiological studies. While moderate cigar/pipe smoking without inhalation is not risk free (nothing is), it is a lot less risky than cigarette smoking (even the “low tar” cigarettes). My decision to replace cigarettes with cigars/pipes was my humble (and perhaps instinctive) effort for achieve a personal "Tobacco Harm Reduction". However, in all online and blog discussions on THR only smokeless tobacco and e-cigs are considered as safer alternatives to cigarettes. Cigar/pipe smoking without inhalation is never mentioned as a THR option. While smokeless tobacco and e-cigs may be safer than cigars/pipes, smoking the latter is still a valid THR option that should be (at least) mentioned. In the UK, back in the 1960s, cigarette smokers were advised to switch to cigars or a pipe. My father did just that. The same amount of money will buy 10-15% more pension income for a 10 a day cigarette smoker, but no such benefit is enjoyed by cigar or pipe smokers. Thank you, Dr. Radu. I used to smoke 1 or 2 cigars a month, with a glass of wine or a bourbon, and enjoyed kicking back on my porch, blowing smoke rings. It slowed me down, and my wife and I would enjoy a pleasant hour doing nothing. Never inhaled. Ever. (Consider the mental health benefits to one who counters the effects of the rat race by enjoying a fine cigar in such moderation, in such a fashion.) I applied for a term life insurance policy a year ago. Long story short: being a SMOKER my premium doubled. I got pissed off and stopped smoking any cigars, but I resent being coerced into doing so. Sure, I could have lied, but I resent being put in this position for--as your excellent report demonstrates--for no good reason.